The holidays are only a few weeks away. By now, you’ve likely started the stressful process of looking to find the perfect holiday gifts for your loved ones. Or perhaps you even got an early start and are wrapping up your gift shopping now. But before you put away the shopping carts, it’s important to remember this: Texas is known for having a very active car enthusiast community. Every day more and more pickup trucks and Jeeps are being driven down the street. Knowing that, why not consider appealing to the masses by giving someone you know an opportunity to customize their pickup truck or Jeep with accessories? We can offer a free consultation to get the process started. Bring in your friend or loved one so we can sit down and talk about what they want. Or, if you want to keep the presents a surprise, come in to get an idea as to what accessories they might enjoy or need based off of their tastes and activities. Once we have hammered out the general idea, the real fun can begin. Do they need truck bedliners for the winter months? Or perhaps they need some new accessories? Regardless of what their needs, we have the product line and expertise needed to find the perfect gift that will please both the recipient and they buyer. Gifts from lighting equipment all the way to bumper customizations and truck lift kits. Even wheels would make for the perfect Christmas present for any car lover. And if you really want to be sure that they get exactly what they want or need, tell them you are treating them to a customized makeover for the pickup truck or Jeep. By bringing them in, you can be sure that the Christmas gift they walk away with is exactly what they are hoping for. If you’d like to schedule a holiday consultation to begin your Christmas gift shopping, feel free to call us or stop by the store. There are many things to consider about safety features when purchasing truck and jeep accessories. Brakes, air bags, and crash ratings are all great examples of things to keep in mind. But what about lighting features? Lighting features are versatile, cover different bases of driver and passenger safety, and offer cosmetic advantages to your pickup. Selecting the lighting features that are right for you may be a little overwhelming at times, but a consultation with your local Pickups Plus employee can help streamline the process and make it an enjoyable one. When considering lighting features, it helps to break the categories down into two main components. Those two components would be cosmetic lighting and practical lighting. In terms of cosmetic lighting, LED lighting has the advantage of being visually pleasing while also have the ability to fall until the practical lighting category as well. LED lighting is extremely popular for truck lovers, due to it’s ability to be both customizable and to make road visibility better. LED lights are available as cab lights, and light strips. For practicality, there are three different options for lighting fixtures. Those options would be HD lighting, fog lights, and trailer lights. HD Lighting: these lights are newer than LED lights are, and provide better coverage by way of road visibility. Because they are high intensity bulbs, you receive maximum power in visibility. Fog Lights: If you live in an area commonly affected by fog or decreased road visibility due to weather, these lights are for you. Designed to provide lighting in harsh conditions, these lights are also available as an energy-efficient alternative. Trailer Lights: Designed for those who drive a pickup and are consistently towing trailers, these lights are made with added protection for you and your cargo in mind. Available with trailer wiring kits, these lights offer maximum safety coverage on all fronts. If you are interested in any of these lighting fixtures or accessories for your truck, stop by the Houston shop today. As the seasons change, we find that the conditions our cars experience change with it. Summer calls for bright and sunny skies. But as the winter months draw close, it’s important to recognize how you can suit your pickup truck or Jeep to be prepared for unpredictable weather. With snow, hail, and sleet all an inevitable possibility for the upcoming months, it would be wise to start preparing your car now. One of the most important things you can do to prepare your pickup truck for winter conditions is to invest in different sorts of covers. As the weather begins to become more volatile, your car becomes open to the possibility of damage. Pickup trucks can be especially vulnerable to playing slave to the seasons, as the main source of cargo transportation remains exposed. But investing in bed covers can ensure that you are able to enjoy all the benefits of owning a pickup, regardless of the season. Bed covers are ideal for protecting any equipment, luggage, or cargo that might normally have been carried in the open during spring or summer months. Other covers you might consider investing in are different types of mats. Both interior and exterior mats for your pickup can help combat difficulties brought on by snow, hail, sleet, etc. Interior mats provide traction, which can eliminate difficulties brought on from wet shoes that might otherwise cause slippery conditions while driving. As far as exterior mats go, bed mats can help prevent rusting that may occur as wetter weather becomes more common. Jeeps can prepare for the winter season by making the change from soft-top to hardtop. A hard top offers increased protection against different elemental conditions. Hard tops have also proven to provide better insulation, which will come in handy as the temperatures begin to decrease. Hard tops are easily removed, making it easy for you as the driver to be prepared for any sort of weather. If you are looking to prepare your pickup or Jeep for the winter months, stop by the Pickups Plus shop. We can sit down and figure out which winter accessories are best for you and your ride. Most Houston pickup truck owners try everything possible to add personalization to their vehicle. 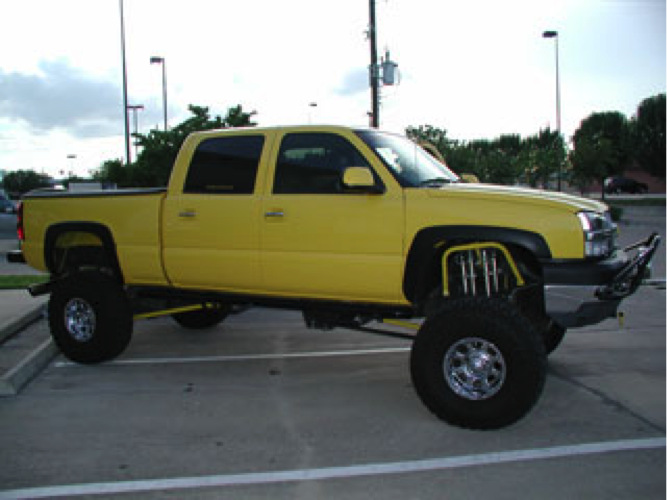 The best way to customize vehicles is with different Houston truck accessories. What helps set a truck apart from the crowd are aftermarket wheels. Although it may seem easy to select the best tires and rims, there are many things to consider before making a purchase. When looking to customize a truck, it is common to buy bigger wheels. Large tires have a pleasing appearance, but they may affect the way a truck rides. Large tires often create a rough feel on the road, but they may provide better traction. Choosing a rim size that provides a nice selection of tire options will maximize satisfaction. Matching the bolt pattern is important and this will help uncover the top customized wheel options. Identifying the number of holes and the distance between each is essential. Also, the center bore must be measured. If the bore matches the mounting hub’s size, the wheel is hub-centric. A hub-centric wheel rides smoothly and creates less vibration than a lug-centric wheel. There is also less risk that a lug will fail as well. It is important to measure back spacing from the back edge of the wheel to the mounting surface. When using the truck to carry large loads, it is vital to understand the maximum load capacity as well. To calculate the possible weight load, a person multiplies the advertised maximum weight by four. Many pickup truck owners raise their trucks with Houston lift kits, which can complicate the process of choosing new wheels. To uncover the possible custom wheel options, it is smart to contact the kits’ manufacturer. This provides useful information during the selection process. After choosing the correct size wheels, it is time to consider materials. Typically, truck rims are made from three types of materials; heavy duty steel, forged aluminum, or cast aluminum. Each provides different advantages and costs various amounts. Steel wheels are stamped, which makes them durable. This type of construction provides a uniform composition, which enhances structural integrity and lowers the likelihood of wobbling. Since they are very tough, they can withstand a great deal of abuse. This makes them the obvious choice for avid off-roaders. They are popular because they are inexpensive to produce and purchase. Forged aluminum is crafted from pressure and heat. This material is lightweight, versatile, and offers a stylish appearance. This premium option has the most expensive price tag. Finally, cast aluminum alloy wheels have low pressure casting, so the material is flexible. This allows designers to create unique styles. The porous compound provides good airflow through wheels to cool hot brakes. They resist rust but have trouble remaining damage-free under rough conditions. Thanks to their lightweight properties, they are the first choice for speed-tuned trucks and are available in numerous styles, sizes, and price levels. When people select new wheels for a pickup truck, the tires and rims are meant to complement other accessories already on the vehicle. For example, Houston truck bedliners and rims are a natural first step in customization. Matte black rims work perfectly with matte black bedliners. Also, shiny aluminum rims pair nicely with chrome exhaust tips. The possibilities are endless. Although common sense plays a role in choosing new wheels for a pickup truck, a professional mechanic or retailer will be able to help make the best decision. Changing a truck’s tires and rims can make a big difference in its appearance and how it performs. It is worthwhile to do some research and learn what is involved with the selection process. Combining new wheels with other accessories will make a truck unique and reflect the owner’s style. Pickup truck owners love to accessorize their trucks. If you own a truck and live in Texas, you have many choices available, including Houston truck bedliners, truck lift kits, performance equipment and custom wheels. In this article, you will learn more about bed liners and bed rugs so that you can choose protection for your truck bed that fits your needs and preferences. The three basic types of truck bed protection that provide full coverage for the box’s bulkhead, sides, and floor are drop-in liners, liquid liner materials that are sprayed or rolled into place, and bed rugs. Each of these types of pickup truck protection has distinct features that set them apart from each other. Sprayed truck bedliners, properly applied, permanently adhere to the truck box’s metal surfaces. For good adhesion, the surfaces first must be roughened. Sanding wheels or etching solvents commonly are used for this purpose. Accessorizing a truck bed with a spray-in liner is usually done professionally. Liner additives allow you to customize the color or to change the liner’s final texture. Because there are several formulas for the liner itself, you can choose one that fits your needs and preferences. Here are two popular choices. Polyurethane – Provides the best resistance to damage from the sun’s ultraviolet rays. When dry, it has little sheen, making it a good choice for camouflage. Epoxy/Urethane Blend – Goes on thick and dries with a bit of texture with or without adding rubber crumb material. It is easy to apply and has excellent resistance to ultraviolet rays. It usually dries to a semi-gloss finish. Due to fumes, applying a liquid liner can be hazardous. Lung protection and excellent air circulation are essential. The time needed to apply, dry and cure this type of liner ranges from several hours to five days. Made of high-density polyurethane, each pre-molded liner matches the box of a particular make and model of truck. You can order drop-in liners to fit over or under your truck’s side rails. The ones that fit under the rails leave a bit more load space. Drop-in truck bedliners absorb shock better than spray-in liners, providing better load protection. Each liner’s high-ribbed floor pattern promotes drainage and lessens the possibility of denting the bed. Drop-in liners are durable, and some come with skid-resistant finishes. Matching tailgate protectors are available. An unloaded drop-in bed liner is light enough that wind velocity may cause it to lift up and fly out of the truck bed. A common solution is to bolt the liner to the bed. Unless some type of rust protection is applied to the metal, new holes created in the truck box eventually cause the surrounding metal to rust. Also, drop-in liners rub against the truck beds in which they are installed. This movement eventually causes paint scratches that leave exposed surfaces vulnerable. Bed rugs are designed to cover all interior surfaces of a pickup truck’s box and tailgate. This type of liner looks and feels like carpet. Underneath is dense polypropylene foam. The bed rug liner is waterproof and is resistant to chemicals. Cargo does not slide. The material is easy on the knees and comfortable for pets or children. The bed rug liner comes in two sections that are rolled together. The bulkhead and sidewalls form one section. The second section covers the floor and the tailgate’s inner surface. To install the liner, you just zip together the two pieces and use the liner’s pre-glued hook and loop fasteners to attach the liner to the truck box. Each bed rug liner is designed to fit a particular truck bed. The rug fits into and over the truck bed’s ridges to form a smooth surface. The bed rug tolerates harsh conditions and will not fade. It is impervious to mold and mildew and is easy to clean with a broom, hose or vacuum. Water that touches the liner’s surface simply runs off, either out the lowered tailgate or through the non-corrosive zipper to the metal truck bed. If the truck bed has drainage holes or slots, moisture escapes through these holes. LED lights can be used to illuminate the road around a pickup truck as well as beautify a variety of places on the vehicle’s exterior such as tailgates, Houston truck bedliners and in its interior. Although these types of Houston truck accessories may be a little more of an initial hit to the pocketbook than halogen or neon lights, purchasing them makes the most sense from a long-term point of view due to their significant longevity. Functional lights are those that are necessary to operate the vehicle safely and legally. Examples include headlights, turn signals, tail lights, parking lights and emergency flashers. Using these types of lights as headlights is especially advantageous due to how much easier it becomes to distinguish between other vehicles, pedestrians and other things that have entered or may enter the road. Drivers enjoying these types of headlights also experience less eye fatigue. Conversely, decorative lights are used to beautify a truck. Some places where these may be placed are on Houston truck steps and running boards. They may be used on the bumpers, doors or fenders as well while some drivers enjoy affixing blinking, chasing or strobe lights to their vehicles. Undercar kits that illuminate the ground below and immediately adjacent to the car are popular as well. LED lights are also available in a wider variety of colors than other types of light sources. Any outdoor lighting, functional or decorative, should be waterproof. Transportation laws should also be consulted to ensure that LED lights, functional or decorative, that have been affixed to the vehicle are being used legally. Making sure to purchase major brands will usually help ensure that transportation laws are being followed after they are placed on trucks. How LED lights work includes one of the most apparent benefits of LED lights, how long they last. In fact, they tend to last several times longer than halogen lamps while using a fraction of the energy. Additionally, LED lights are brighter, which allows the road to be better illuminated than would otherwise be the case and allows the truck to be more easily seen by others at night. LED lights also put off significantly less heat than halogen lamps, dramatically decreasing the number of accidental burns that result from touching the truck’s lights. This is an especially valuable asset to have in hot, humid climates places such as Houston. LED lights are also better options than neon lights as the latter type requires a significant amount of voltage and, like halogen lamps, can get very hot. Some LED lights can be connected with the vehicle’s existing light housing with a conversion kit. 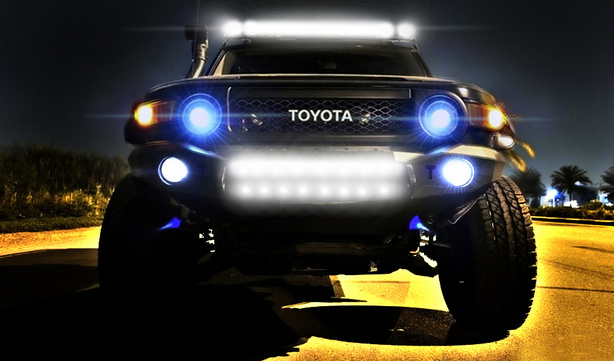 Many truck owners make sure to do this with LED lights that are being used as headlights. However, how this is done varies dramatically depending on the make, model and year of the vehicle. Conversely, LED lights may also be bolted, clamped or glued onto the truck and powered by the trucks electrical system after being interfaced with wires, by batteries or through a wireless system that allows them to communicate with a receiver. Decorative lights in particular are often applied to the vehicle in one or more of these methods. It is clear why LED lights are quickly outshining other types of lights when it comes to illuminating the outside and inside of pickup trucks and other types of vehicles as users start to realize in greater numbers that the long-term benefits of LED lights far outweigh any short-term advantages that other types of lights offer. Do you haul cargo in your pickup truck? If you use your truck for work and regularly haul tools, supplies and a massive collection of large and small items, a bed slide could be the accessory that makes life a little easier and puts your truck to work for you. Bed slides, also called bed drawers, protect the truck bed and improve its function by giving you access to three sides of the cargo area. They effectively eliminate crawling, climbing and rummaging. If you already have accessories from a Houston truck bedliners company, a bed slide could be the perfect addition to your work truck. What is a Truck Bed Slide? A bed slide consists of two major parts. First, you have the frame that bolts into the interior of the truck bed. Second, you have the bed slide or drawer, which glides along a track in the frame. Depending on the model, there are several differences. Weight capacities generally range from 1,000 to 2,000 pounds. Sturdier materials along with better bearings and rollers give you a greater weight capacity. Units have anywhere from eight to 20 rollers. The more rollers you have, the easier it is to slide the cargo out for unloading. The materials of the bed slide also vary. Most are made from anodized aluminum or steel. You will also find slides with rubberized floors that create a non-slip surface and prevent your cargo for shifting. Then, you get into the other extras and add-ons that you can find through a Houston truck accessories outlet. Once you have a bed slide, you can add cargo baskets and partitioned buckets to keep your cargo organized. Most bed slides are compatible with tie-downs and cargo straps. Depending on the type of cargo that you haul, you might prefer a tray-style bed slide or one with higher sides that act more like a drawer and keep items secure. 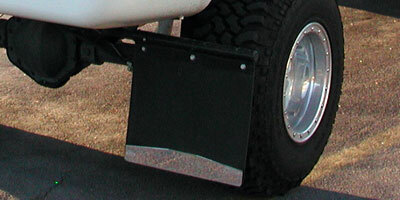 Bed slides are available for most pickup trucks, and some can also be installed in SUVs. The options available to you will depend on your budget and the make, model and year of your vehicle. 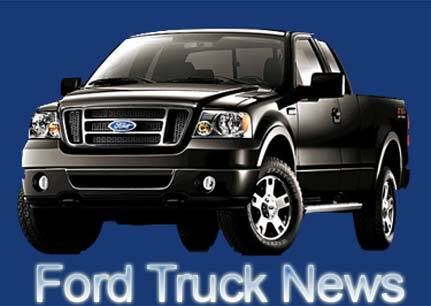 A variety of slides are available for the most popular trucks made by Ford, Chevrolet, Toyota, Nissan, Honda, Dodge and other manufacturers. What you haul, how heavy your cargo is and how much you want to spend have the greatest bearing on the model that is best for you. A bed drawer is as protective as a liner, but it is significantly more practical. In addition to making loading and unloading easier, you can access items without rolling back the tonneau, lifting a hard cover or crouching down under a cap. Your cargo is accessible but is also stored securely. Bed slides are great for anyone who has back problems, is handicapped or is simply tired of climbing in and out of the pickup bed every time another tool or supply is needed. Bed slides work great with other accessories. If you are a fan of truck lift kits and special suspension systems or if use your vehicle for off-road driving, a bed slide can put your cargo within reach. Bed Slide systems improve safety by reducing the number of times that you climb into the truck and eliminating the damage that occurs as you rummage around the bed looking for the one tool that you can never find. If you purchase a bed slide from a local truck accessory company, you can have it installed and start using it the same day. Once you pack your first load, you will not be able to stop showing your friends. Pretty soon, everyone you know will want their own. The right truck stereo system can provide you with many hours of entertainment on the road. Choosing the right components for your sound system can ensure maximum volume and fidelity for your audio tracks. Determining the relative power and performance of audio equipment, however, can be a tricky proposition. Manufacturers and marketers may be less than completely honest when describing their components and systems. Additionally, the lack of consistent standards for automotive audio equipment may create difficulties in determining which components can be used together to create the most accurate sound reproduction and loudest volumes for your truck. Consulting an established Houston retailer of truck accessories can provide you with expert guidance in designing your stereo system. Here are some helpful tips for creating the right sound system for your Texas truck. The Consumer Electronics Association has established a voluntary standard for measuring RMS and signal-to-noise ratings, known within the industry as Total Harmonic Distortion (THD). Unfortunately, many audio component manufacturers establish a baseline for these ratings by using 14.4 voltage; truck batteries are generally rated at 12 volts and cannot reliably produce the voltage used to generate these figures. By reducing the RMS rating by approximately one-fifth, you can often achieve more realistic ratings figures when determining the right mix of components. In most cases, noise distortion levels increase with volume. Signal-to-noise ratings are factored in when determining RMS levels; however, these ratings may be skewed by manufacturers to conceal or minimize the loss of fidelity and the increase of THD at these higher volumes. Although a 1 percent THD rating may seem insignificant, it can have a major impact on sound quality and is generally unacceptable for most music lovers. Consider the rating of the component at one-tenth of one percent or less when determining if amplifiers, speakers and other components will work well together. Some manufacturers avoid the use of RMS ratings altogether and instead use peak ratings, which measure the top end performance of components over a short period of time. Peak ratings are not generally indicative of the performance of speakers or amplifiers and cannot be used in the same way to determine compatibility. Additionally, peak ratings should not be compared directly with RMS ratings when deciding on the components for your truck systems. Electrical resistance is measured in ohms and typically increases as more speakers are added to the system. Amplifiers can produce more wattage from the same amount of voltage at lower ohm ratings. RMS ratings can help you match amplifiers with speaker systems of comparable resistance levels. Creating the right match-ups between amplifiers, speakers and other components of your truck’s sound system can ensure greater fidelity and increased performance from these mobile entertainment systems. Whether you need expert advice on stereo components or truck bedliners, aftermarket Houston truck accessory companies can often provide the information and guidance necessary to achieve the best possible results. Working with a professional truck accessory company to set up your stereo system can have a major impact on the quality of sound it produces. These Houston companies can offer other customization options as well, including truck lift kits, seat covers, floor mats, bumpers, running boards, winches, and other accessories designed specifically to suit your vehicle. By consulting with these knowledgeable professionals, you can ensure the beauty and functionality of your hard-working truck. Some of the best Houston truck accessories that you can pick up for your vehicle are performance chips and programmers. The chips can prove to be especially useful as they can improve your fuel efficiency by about 25 percent, or allow you to do things like use all of your available horsepower while towing a boat or trailer and providing you with needed power when driving on graded roads. Every vehicle comes from the manufacturer with a chip that is designed for the average driver. However, performance chips provide you with the ability to tune the engine in a way that allows it to match up much better with your driving patterns, whether that consists mainly of towing, performance driving or something else altogether, and it improves your pickup truck’s ability to respond to your requirements. This feature also allows your truck to always perform at its full potential by improving on how many miles per gallon are used compared to a factory chip and by boosting its horsepower when needed. The ability to experience more towing power than before and increased acceleration are two of the most notable benefits that these chips provide. One of the other advantages of using performance chips is their ability to monitor a variety of vehicle parameters, which allows you to receive valuable information that may end up being a pivotal heads up if something is out of whack. However, do note that using a performance chip may strain some parts of your pickup truck, so you may need to replace these parts more often than normal. Fortunately, installing and using this chip should still cost you less in the long run due to how efficiently it allows your truck to perform compared to a factory chip. Although you will need to find, remove and replace the chip that came with your pickup truck, it is usually located under your dashboard or in the engine compartment. This process is relatively easy to do and should take less than 20 minutes to complete. If you are still hesitant about replacing the chip on your truck, you should note that this chip-replacement process will quickly pay for itself. A programmer is even easier to install than a chip, and you can also easily remove it at a later date and return your pickup truck to its original settings if you wish. The installation process simply involves plugging in the programmer and answering several simple questions. Programmers are versatile products that provide you with the ability to select from a variety of performance levels. For example, you could place it in tow mode if you are towing, mileage mode if you are looking to save as much fuel as possible or race mode if you are racing. However, most truck owners will use the mileage mode, and doing so should cause this device to pay for itself within a year. You always have the option to choose fuel economy or total boost. There are a number of other truck accessories to customize your pickup truck and give it your own unique look. These accessories include truck bedliners, which help Houston pickup truck owners protect the bed of their vehicle and to help prevent any items that are place back there from skidding or causing damage. Some bedliners are extremely easy to install. You simply drop them in the cargo area of your truck or you can have a permanently sprayed liner installed by a truck accessories professional Truck lift kits are also a popular way to customize your truck and increase the height of your vehicle to add additional clearance for off road driving and to add bigger tires and rims. Truck Security a MUST in Houston! HEADS UP HOUSTON! Time to step up the security systems on your trucks! Per the Houston Police Department, the month of May was a busy, busy month for truck thefts! Below are the MAKES of the most stolen cars in the city of Houston. What can you do about that? You can stop by PickUps Plus in Houston and show ups what you have and we can help you decide what you need to add. Some adds can be major upgrades and some minor adjustments to existing happens can make things more secure. As you can see, pick up trucks – three hundred, forty-nine to be exact – were stolen in Houston alone. That does NOT include cities in the Greater Houston area such as Katy, Sugar Land, Pearland, The Woodlands, Bellaire, West University, Missouri City, Stafford and more. Should you take this seriously? HECK YEAH! Do you like your truck? Upon examination of the HPD report, thieves don’t seem to be MODEL specific and tailgates are a very hot commodity. We have special locks for tailgates that can at least slow them down if not make the thief rock your truck in order to remove the tailgate. My truck had it’s tailgate stolen by a kid in First Colony (we live in Sugar Land). Tailgate was spotted by friends at a “truck meet” in Fort Bend County, and the boys “ran him down” while on the phone with the police. Obvious marks helped us identify the tailgate, however the wealthy parents of the “young thief” wouldn’t let cops on their property without a warrant. That process took an hour. By the time the warrant arrived with a entire squad of Fort Bend County Sheriffs (all wanting to nab the kid), the youth had removed the tailgate. Even though we had pictures (as did the Sheriff) of the tailgate ON the truck, in their driveway behind a gate (good pics too), they couldn’t do anything about it. The teens passed by the house on a regular bases, and they NEVER saw the truck again. It seems the truck was “sold to someone in LA” according to the young man’s Instagram page (yep, we are THAT resourceful). Do you want this to happen to YOUR truck accessories? OF COURSE NOT. Stop by and get a tailgate lock today…if you do nothing else. Don’t forget to check out the list of Texas trucks and cars below! We can help ANYONE! Posted in Protection Accessories, Tailgates, Truck Accessories	| Tagged Ford Trucks most stolen in Houston, tailgate locks, Tailgate Security, Tailgate Theft, Truck Accessories for Houston Area	| Comments Off on Truck Security a MUST in Houston!